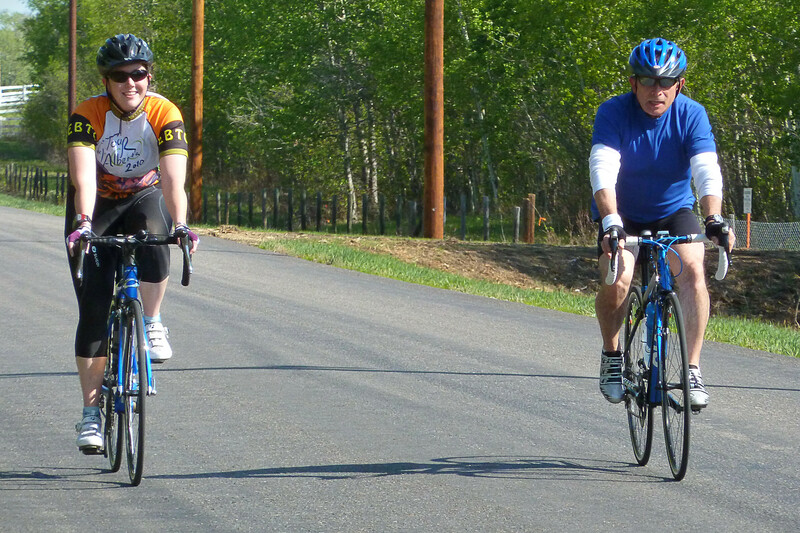 With a couple of days of rain this week and a couple of days of fatigue, here it was Friday already and I hadn’t been out on the bike since Sunday’s Target the Tour group training ride. That one ride will not be enough by itself to get me into shape for touring the Silver Triangle in June. My plan has been to get in two progressively longer rides each week in addition to moderate daily rides. So today would have to be a longer ride. 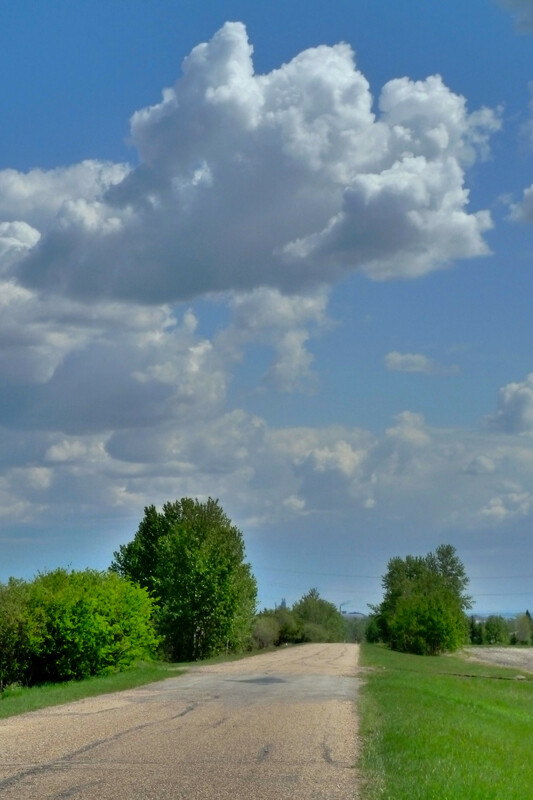 The weather looked fine so I decided to try a new route of what I estimated to be about a 75K distance – from central Edmonton to Fort Saskatchewan (a small city northeast of Edmonton). As soon as I had finished watching the day’s coverage of the Giro d’Italia. I got ready and headed out to the bike. At this point I discovered a small technical issue (actually two of them). Normally I wear my Garmin HRM/GPS and have my Cateye cycle computer (odometer, speedometer etc.) on the bike. For some reason the Garmin would not turn on and a probelm with a loose wire on the Cateye meant it was only intermittently getting a signal from the wheel sensor. The net result was I had not indications of speed or distance. On the way home I turned on the GPS on my iPhone which indicated a distance of about 36+ kilometers, so counting a couple of extra Ks in Ft. Sask my total was likely close to the estimated 75K. 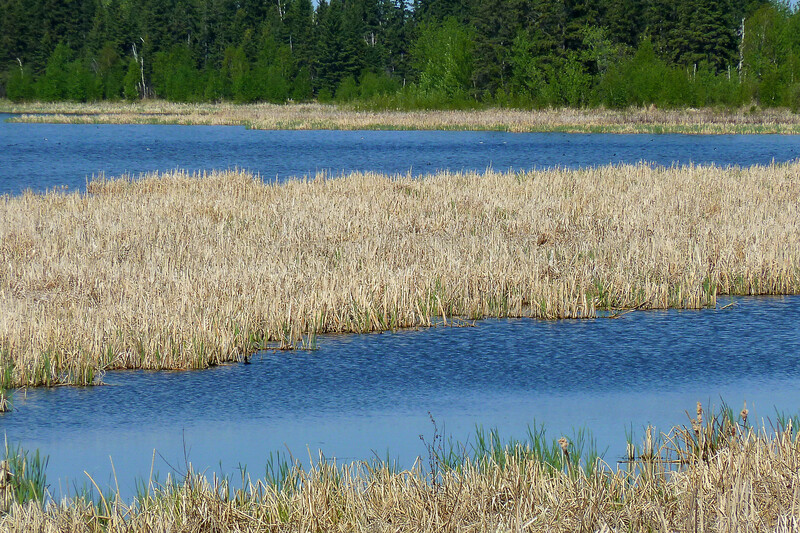 My route to through Edmonton to the northeast was my usual (Dawson Park, Ada Boulevard, Rundle Park, Hermitage Park) along the bike paths and routes. From the top of the valley at the North end of Hermitage Park I dipsy-doodled my way north through the residential subdivisions until I reached the countryside at 153rd Avenue [map]. 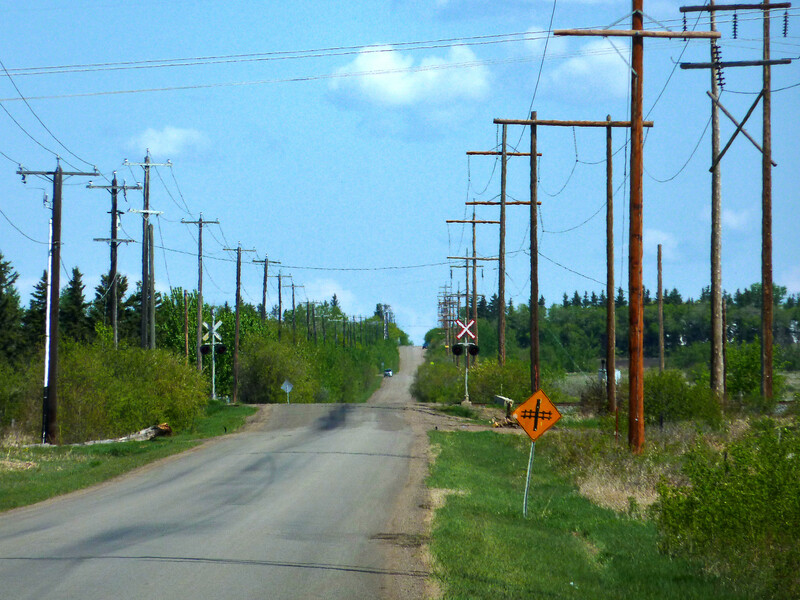 A couple of kilometers east I hit Meridian Street, a lightly-traveled rural road, and headed north. 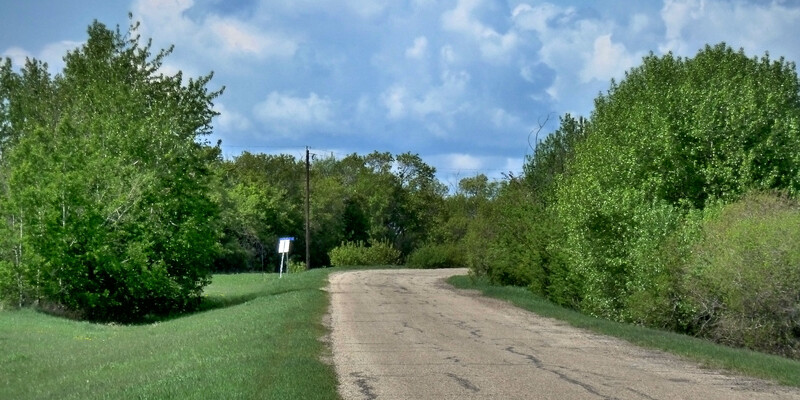 this road passes through farmland and, a few small acreage subdivisions. The road is in pretty good condition and the ride is pleasant! 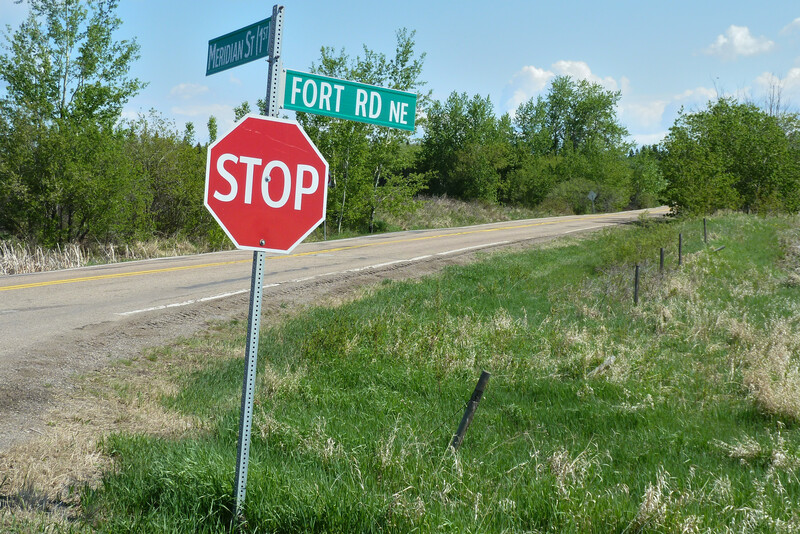 Approximately 8K north, Meridian Street is intersected by the Fort Road, which I turned right and followed. 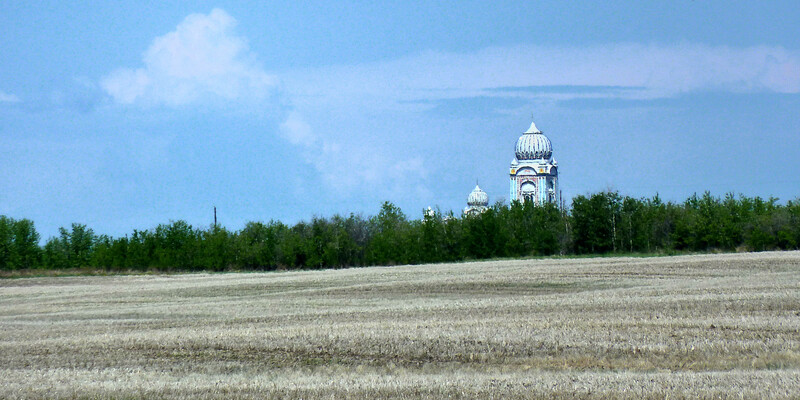 However, looking northwest from that point, across the fields and behind some trees one can see the unexpected sire of an ornate Sikh temple. The Fort Road is busier, as would be expected from the center and shoulder line markings, but it wasn’t too bad, late morning when I was there. 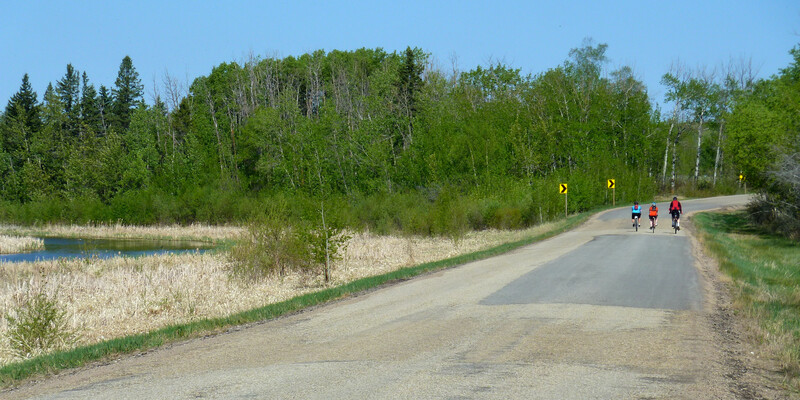 I followed this road northeast for 4 or 5 kilometers until it intersects Manning Drive (Highway 15). At this intersection it is necessary to turn right and travel on the highway. It is not a bad stretch of road, it starts off divided with a wide shoulder (then becomes undivided but still with a generous shoulder. 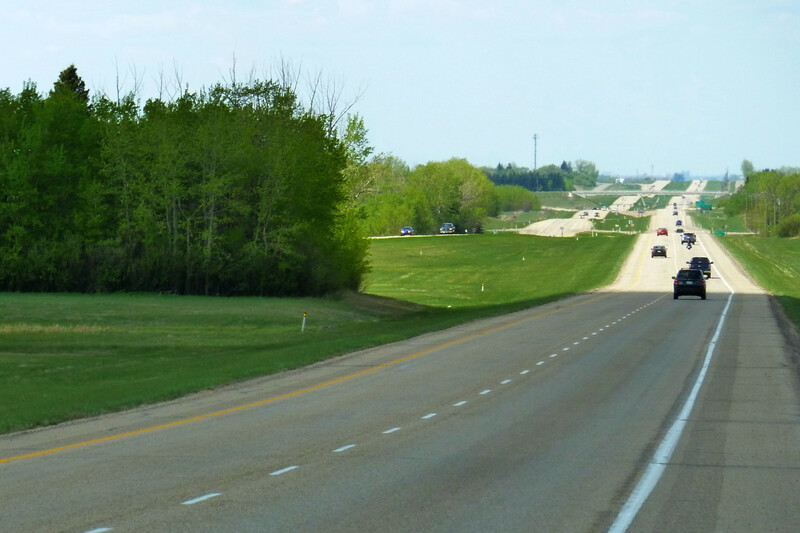 The highway stretch is just for a couple of kilometers before I turned right onto the Old Fort Road (Township Road 545). 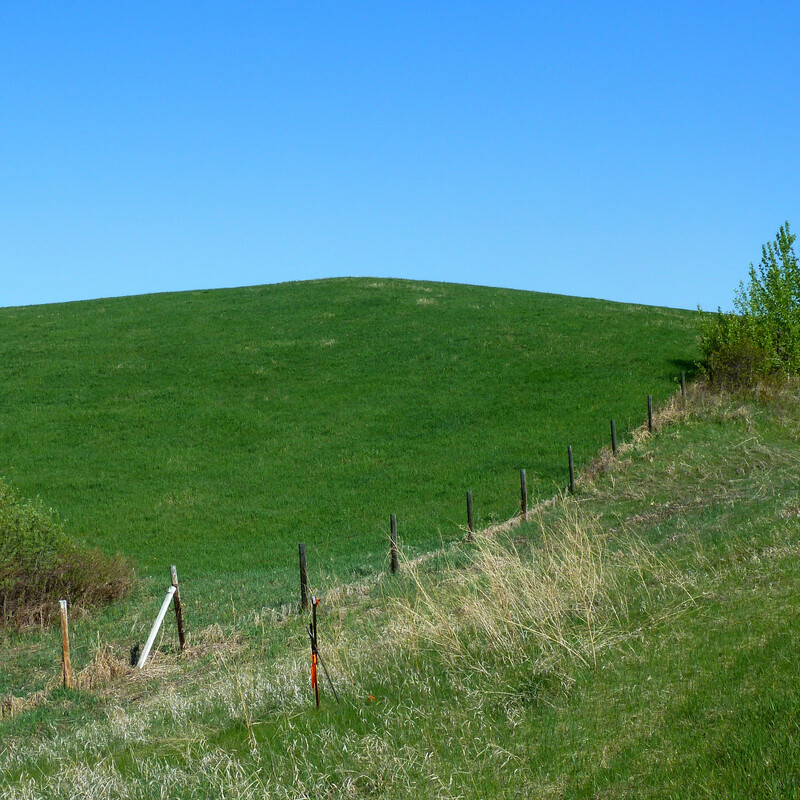 This is another quiet road through the farmland – very peaceful. Well peaceful but with a very rough road surface. It was paved and not particularly broken up but it was kind of jarring. The fact that I had a very-unusual-for-me headache today meant that I really noticed the roughness. 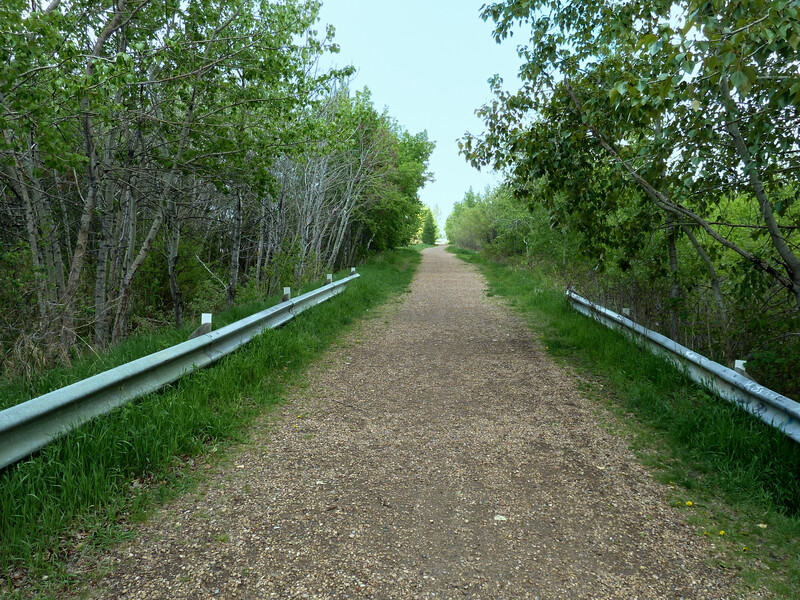 The Old Fort Road takes us to just below the highway bridge that crosses the North Saskatchewan River and leads into the City of Fort Saskatchewan. 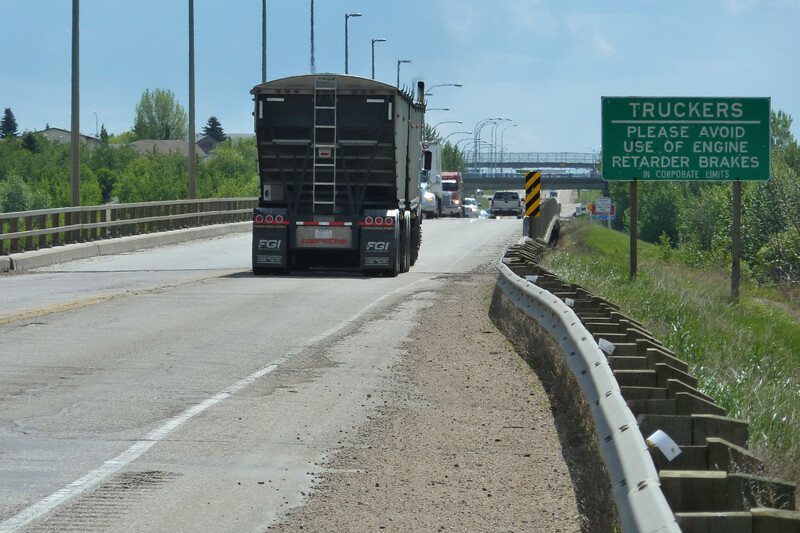 To get onto the highway it is necessary to first turn north onto a little road before turning right onto the highway. Once across the bridge the shoulder widens and taking the exit to the right, one is in the City. After first going west, I found downtown was to the east and offered more food options. I found a place to grab some lunch and took a break for half an hour or so then headed back, along basically the same route. Again the bridge crossing was the only real concern but once across, I turned right and went back south, under the bridge and along the old Fort Road. Shortly back on to this road I came to a railway crossing where care was called for (as indeed it was when I crossed on the way out). 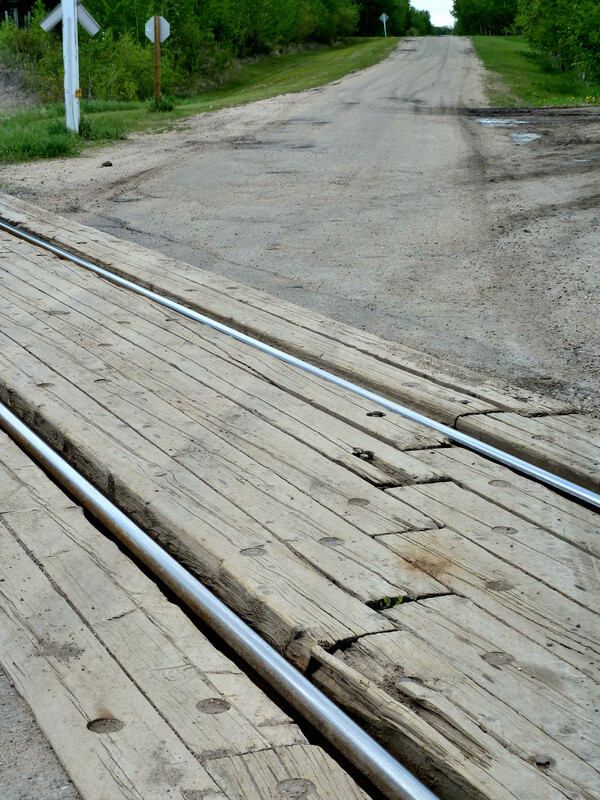 The timbers are old and rough and the rails are at quite an angle to the road but again traffic was light so there was no problem in taking it very slow. My return route deviated from the outgoing one only slightly as I was coming back into the Northeast Edmonton residential area. There was construction on the little dirt road I had taken to get to 153 Avenue so I couldn’t turn off 153rd at the same point. I continued west to 18th St., then went south on a little gravel walkway (after having to carry my bike over a barrier). 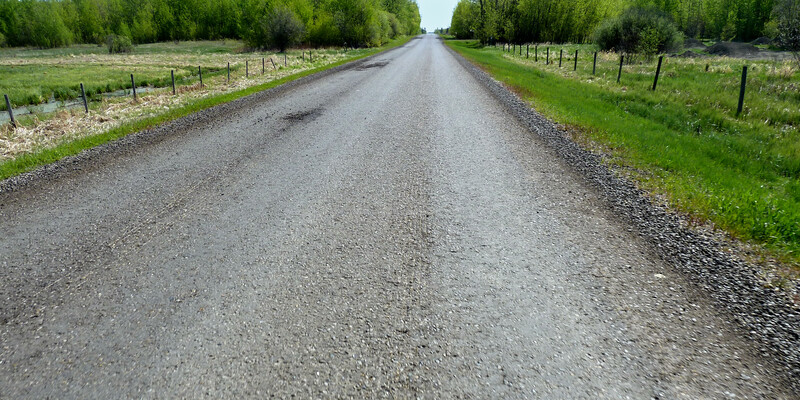 This gravel path was only about 300 meters before I got back on the residential road. It wasn’t a bad ride on my touring bike (with a bit wider tires) and would have been no problem on a mountain bike. I retraced my route back to where I could connect with the bike path at the end of Hermitage Park. From there it was just 15K or about 45 minutes) to home. Well “just” that with a couple of significant climbs, the only real ones since about 50K back. Overall this was a very flat route. I did like this route and look forward to riding it again.